More than 20 years before the iPad, an entrepreneur saw the potential of interactive, digital magazines. And in 1987, a small Dallas-based company launched a floppy disk magazine that was supposed to be a grand experiment in the future of the medium. At $19.95 per issue, The New Aladdin was a bi-monthly general-interest magazine. It hoped to give readers an entirely new kind of interactive experience, complete with animated graphics, computer games, music, puzzles and feature stories that allowed you to ask questions. Although you couldn't wrap fish with it, as many often joked about newspapers, the magazine hoped to make up for this shortcoming with fancy 8-bit graphics. Never heard of a floppy disk? Dictionary.com describes it as "a thin plastic disk coated with magnetic material, on which computer data and programs can be stored for later retrieval." "The magazine is two disks in a case with a label on it that looks like a miniature magazine cover. The sophisticated artwork is in a style reminiscent of The New Yorker magazine. 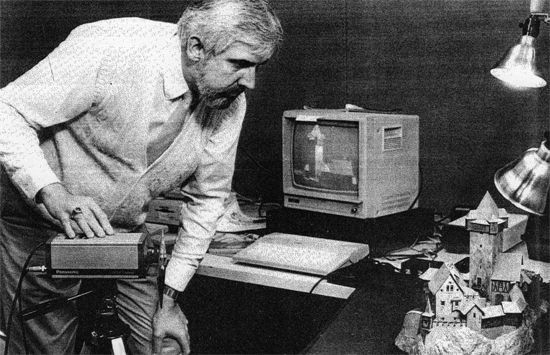 Insert a 3 1/2-inch disk in a disk drive and an image of Aladdin pops up on the screen seated next to a lamp billowing smoke where tiles of stories appear and then fade with the push of a button." This was to be more than a passive magazine-reading experience. The July-August 1987 issue of The Futurist magazine explained it. "How does it work? One sample magazine story might be about how to refinance your home. With most magazines, you would have to read hypothetical stories that may not apply to your own situation. But with The New Aladdin, you plug your own facts and figures into the story to find out precisely how much refinancing your home would cost and how much it may save you in the future. Another possibility is to conduct your own "press conference" with the president of the United States, asking the questions you want answered." The AP story elaborated a bit. For instance, it described what a virtual presidential press conference could look like. "In a recent issue, The New Aladdin carried a cover story that was a spoof on a presidential news conference with Ronald and Nancy Reagan. 'Meet the Pres' starts with the music 'Hail to the Chief' and allows readers to ask an animated Reagan questions from a list and to create their own. They also can respond to questions from Reagan about the press. The Reagans talk to the reader, mouths moving with sentences rolling out of them, word by word. Some of the answers are taken from actual press conferences, others are creative satire." It sounds like some of their experiments may have worked better than others. The article in The Futurist described one story. It sounds like a Choose Your Own Adventure, minus the whole "choosing your own" thing. There were 65,000 different possible versions of the story. "'For a fictional story in one issue, five writers contributed a different version of a story developed form a master outline. The computer randomly assembled the paragraphs, so the reader could enjoy a different story each time it appeared. More than 65,000 different versions of the story were possible,' says Henson. The magazine also features animated graphics, computer games and puzzles." The AP story also explained that they were targeting a mass market. They were attempting to make it as user friendly as possible. "No knowledge of computers is necessary to read the stories or respond to them. They work with the push of a button or the movement of a 'mouse' hand controller on Commodore Amiga computers, Atari ST computers and Atari 8-bit computers. Magazines programmed for the Apple IIg will be available soon." It was obviously difficult to define this new form of publishing, as editor John Henson told The Futurist. "It's a magazine; it's software; it's a video game; it's literature," says Henson. "Content-wise, we are a family entertainment and information journal. The New Aladdin has similarities to everything from a news magazine to a science-fiction digest to a children's book. But because the user can interact with The New Aladdin, that makes it fundamentally different from any printed publication." How is "The New Aladdin" "interactive?" the newspaper makes us entertained.but know in the future there are more expensive.so what they have to do is make them more cheaper,like back than they where really cheap because the adults were not really entertained because there wasn't Tv. In response to "the magazine of the future," I agree that it would be a better improvement than a regular one you just read and question about. One reason I agree is that if you have a question about the article in the magazine you can ask the president. Another reason is that you want to read more than one magazine without having to go to the store you can have it right in front of you. It says in the article conduct your own "press conference" with the president of the United States, asking the questions you want answered. "(this means you can ask the president a wanted question).Even though it might be great it might cause issues between questioning things. 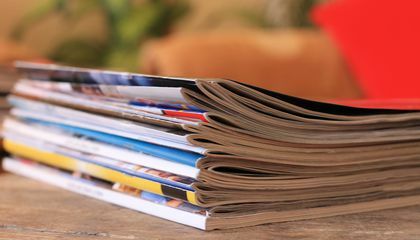 In response to "Magazine of the future," Which talks about the potential of a automated magazines in the past, but now is a reality, and how it would benefit them in the past.I agree that it will benefit the people of the past . One reason I agree is that it will allow the reader to read 65,000 potential versions of one article. Evidence for this is in paragraph 10 of the article, in which it states. "It sounds like a Choose Your Own Adventure, minus the whole "choosing your own" thing. There were 65,000 different possible versions of the story." Another reason is that It also stylish. Evidence for this in paragraph 12, in which it says. "The sophisticated artwork is in a style reminiscent of The New Yorker magazine. A third reason is because it is not just a magazine. In the article it explains this in paragraph 14 in which it says. "The magazine also features animated graphics, computer games and puzzles." Even though it can bring more options and style and technology, I think it can be better to have something in you're hands instead of it.